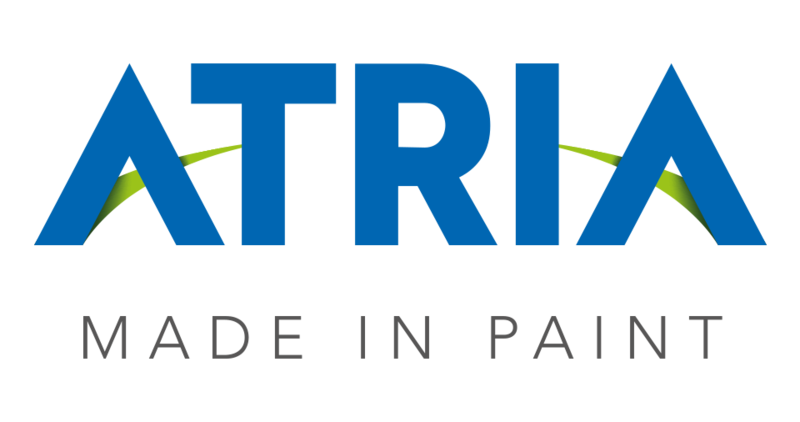 Atriathermika Green is a watersoluble paint for interiors which has an innovative Clean Air Certified Action, a unique feature that allows you to clean the air in treated environment. This product was designed and formulated to colour, clean indoor air and insulate at the same time any type of inside surface. 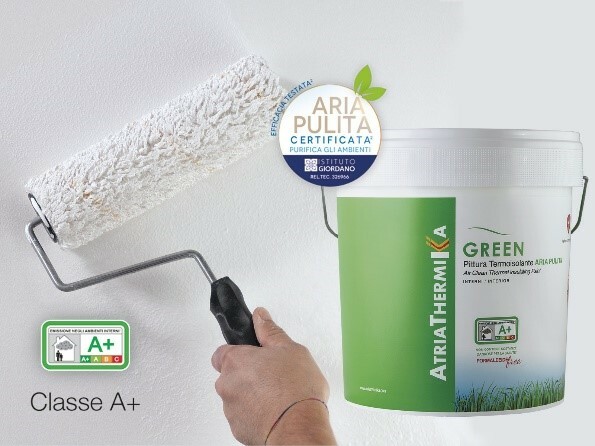 Atriathermika Green is produced through thermo-polymerization process based on new generation gel resins with insulating ceramic coated microspheres, formaldehyde free, anti-condensation and sound proofing for interiors (internal buildings) with smooth surfaces. 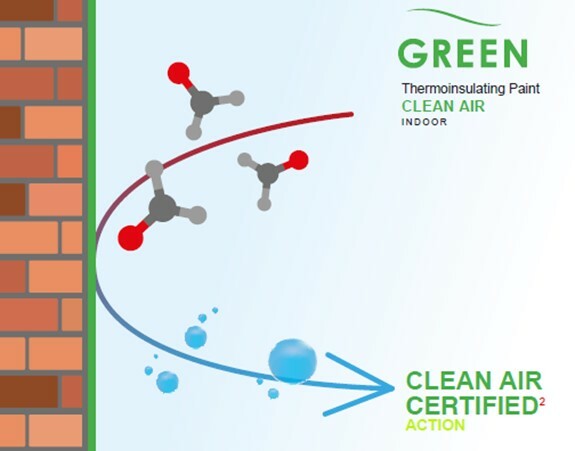 The product is conceived and formulated to colour, clean indoor air and insulate at the same time any type of indoor area, with Class A+ Emission according to the French Decree n. 321/2011 of March 23, 2011 and Order of April, 2011 based on emission after 28 days. - Capability to hold and withdraw excess moisture by balancing the degree of humidity of the air in the environment. Atriathermika Green is suitable for any interior wall surface, metal, wood, plastic, etc. It can be used in the food industry thanks to its characteristics of neutrality and non-toxicity, being an obstacle to the formation of mould and contamination.